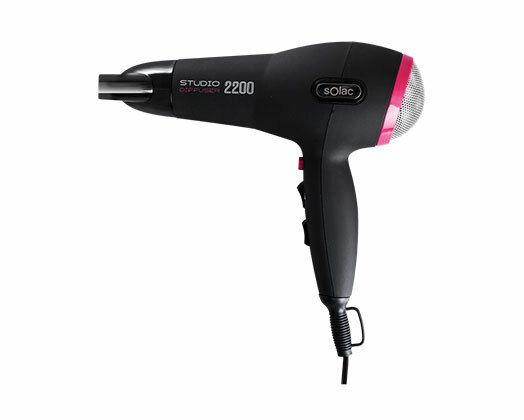 Home Products Solac Hair Dryer DC Motor Black 2 Speed 2200W "Studio Diffuser 2200"
Solac Hair Dryer DC Motor Black 2 Speed 2200W "Studio Diffuser 2200"
Solac presents the Studio Diffuser 2200 hair dryer. The Studio Diffuser 2200 dryer is pleasant to the touch thanks to its soft-touch finish. Its powerful motor will allow you to ceate all kinds of hairstyles easily. It also includes a concentrator and a diffuser for curly hair.